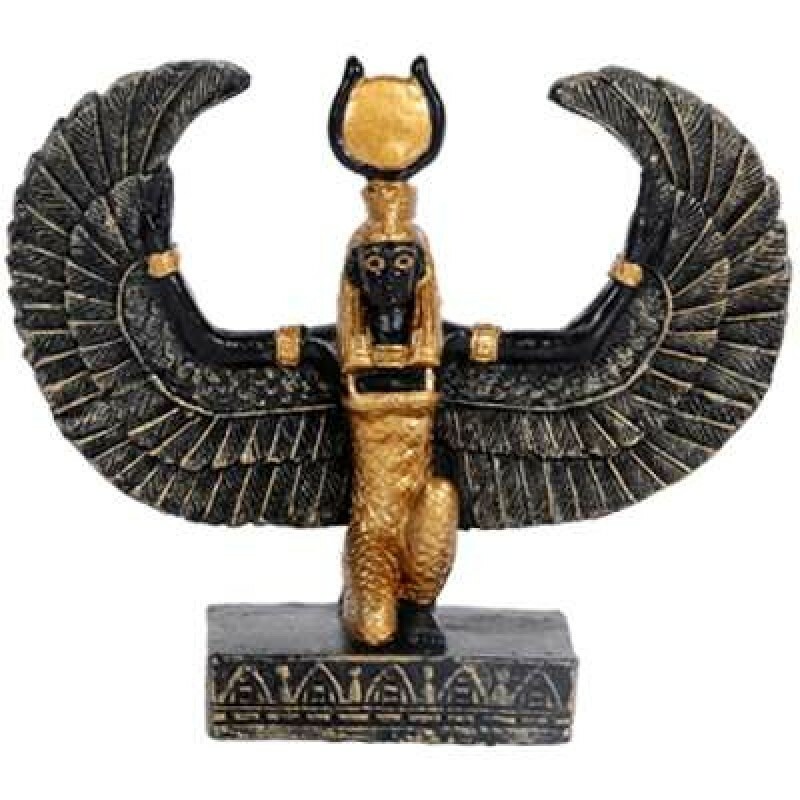 Miniature statue of Isis with wings open is only 2 3/4 inches high. 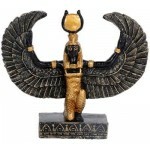 Beautifully detailed small statue in black resin with hand painted gold detail. Measures 1 3/4 x 1 x 2 3/4 inches. 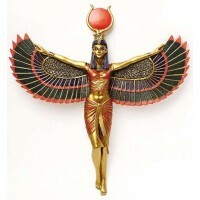 Item Number: PT-10854 | Approximate Size (Inches): 1.75 wide x 1.00 deep x 2.75 high | Approximate Shipping Weight: 0.50 lbs. 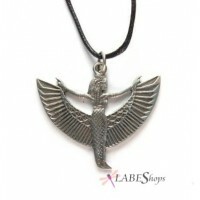 Beautiful winged Isis pendant is made of fine pewter with fine detail. 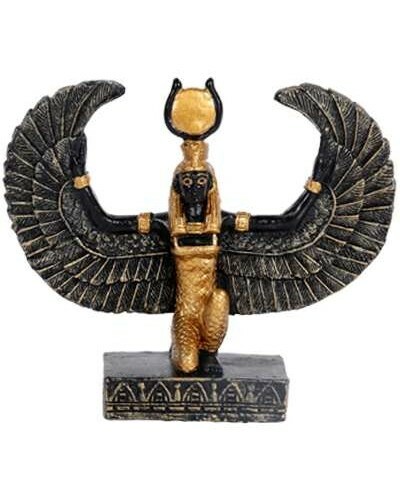 She .. 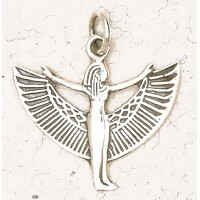 Beautifully made Isis pendant is about 1 inch wide with attached ring bail ..